Talks, wreath-laying, music, popular culture and more are all in store for 11 September around the city’s neighbourhoods. 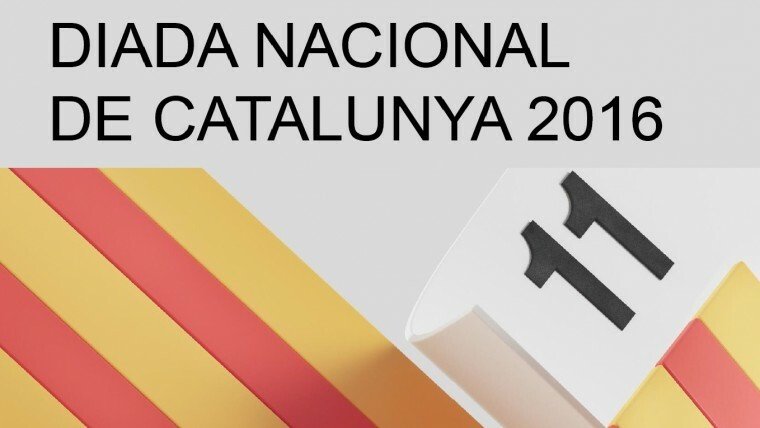 In many cases, entities and district offices have teamed up to ensure that the national day, ‘La Diada’, reaches the whole city. In Sarrià-Sant Gervasi, the act for ‘La Diada’ is on Thursday and consists of a musical performance by the Orquestra Barroca de Barcelona in Pl. Consell de la Vila at 7.30 pm. On the same day, in Les Corts, a cultural visit is being organised at the Josep Maria Trias i Peitx civic centre entitled “Onze de setembre: una derrota o una resistència a ultrança?” [11 September: a defeat or resistance to extremism?]. On Saturday and walk with torches is planned, setting off from the Torre Rodona. In Sant Martí, one of the promotors of the Marxa de la Llibertat, Arcadi Oliveres, will be explaining the 1976 event which covered a large part of the country under the slogan “Llibertat, amnistia i estatut d’autonomia”. The talk will be given in the auditorium in Sant Martí at 7 pm on Friday. On the same day, as from 8 pm, the “Memorial 1714 al Guinardó” will be held in Pl. Salvador Riera in the Horta-Guinardó district. The act involves music, speeches and wreath-laying. At the same location, on 11 September, there will be a homage to the Chilean president Salvador Allende. In Gràcia, acts will take place on Saturday. The afternoon starts with a children’s workshop, followed by wreath-laying at the Pompeu Fabra monument. Poetry reading is also planned, as is a choral performance by the Orfeó Gracienc. Entities will also be participating in wreath-laying at the Rafael Casanova monument the following day. In Sant Andreu, wreath-laying will take place at the Capella dels Segadors on Saturday. Beforehand, the vice-president of the Centre d’Estudis Ignasi Iglésias will be explaining the role of Sant Andreu de Palomar in the Spanish War of Succession and the siege of 1713-1714. The choir, L’orfeó L’Eco de Catalunya, will round off the act, which also includes sardana dancing. In Nou Barris, the courtyard of the district office will be decorated as local residents are invited to join in with the commemorative act. On Saturday afternoon, as from 6 pm, music and festivities are in store with the Societat Coral l’Ideal d’en Clavé, the Coral Canticorum and the Banda Simfònica Roquetes Nou Barris de Barcelona, as well as traditional giants.